Consider it lucky for being successful in my first attempt cooking Nasi Lemak rice using Tatung indirect-heat rice cooker - 大同电锅. In case you are puzzled by this "luck" remark, I am saying that because cooking the perfect Nasi Lemak rice is already tricky with the ratio of coconut cream/milk to water to rice, now played up by what is used to cook the rice. 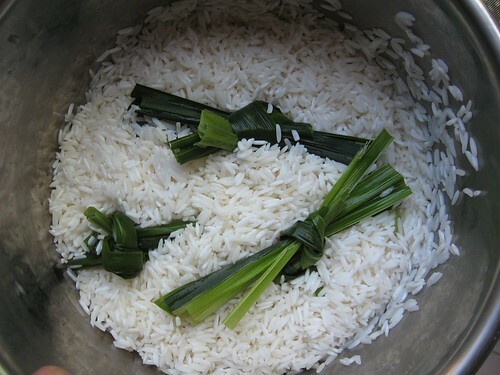 Even when tasked with the routine regular chore of cooking plain rice - the ratio of water to rice usually needs to be adjusted accordingly to either cooking the rice over the stove or in the rice cooker (and different types of rice cooker). In this case, it is not a fuzzy logic rice cooker, or the traditional direct heat but an indirect heat rice cooker. 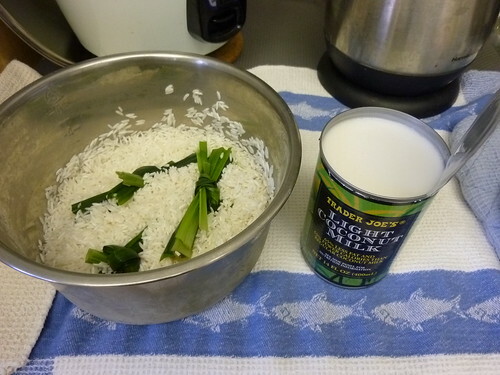 Now, to cook coconut-flavored rice, it is also not just playing the water and rice ratio but another third variable (ingredient) being involved: coconut cream/milk. 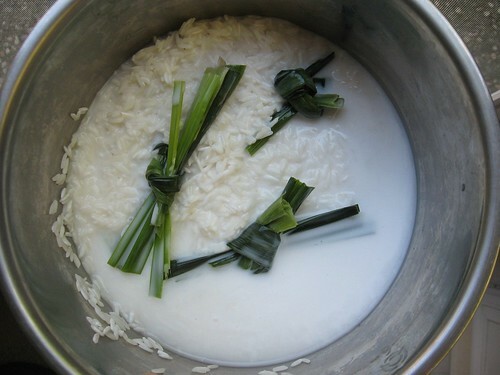 The ratio of coconut milk to water to rice has to be more precise as using too much coconut milk and water may render the rice too wet and sticky. Moreover, there is also this tricky business of using coconut cream or coconut milk and even in this case, light coconut milk. Ingredients: 3 cups of Jasmine rice + 1 can Trader Joes light coconut milk*. The liquid level will be at about 2-2.5 cups level in the inner pot. Add about 2.5 cups of water to the outer pot, cover the pot. 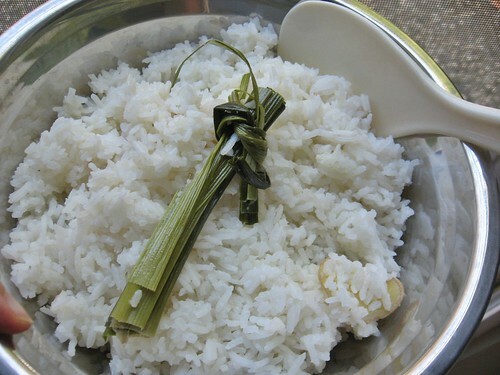 Switch on the rice cooker to Cook and allow the rice to be cooked to perfection. Halfway through the cooking at about 20th minute, you can open the pot and just gently move the rice around, to prevent sticking of the rice to the bottom of the pot while rice is steaming/cooking. When automatically switched to Warm after about 30-45mins, allow the rice to simmer for about 10 minutes, then fluff it up gently and keep it under Warm before serving. *The reason I chose Trader Joes light coconut milk is because it is the one that does not use any other funny strange ingredient such as xanthum gum. The thicker coconut cream usually contains gum. Sharing with Hearth and Soul.